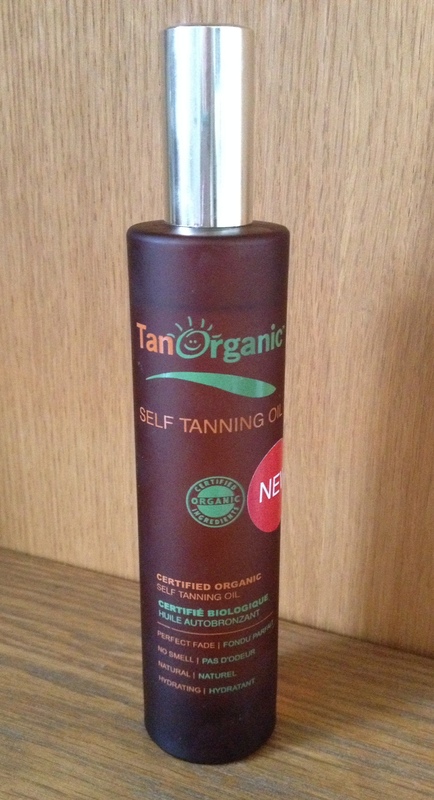 If you’re looking to fake not bake this summer, here’s a new product that’s seriously impressed me – TanOrganic Self Tanning Oil (£24.99) is the world’s first self tanning face and body oil, and not only that, it’s also 99.9% natural and certified eco-organic. Over the years I’ve tried hundreds of fake tans, some great, some not so great. Lately there seems to have been a big shift towards self tan with a guide colour formulation, like the original St Tropez bronzer – apply, then wash off a few hours later. I’m not knocking this type of tan as some of my favourite brands work in this way, but you do need to have time on your side for the whole rigmarole, especially if you’re not a regular fake tanner. And sometimes, especially when time is precious, I just want something that I can literally apply and forget about, until the colour develops. And that’s why I love TanOrganic Self Tanning Oil so much. You don’t need to use a mitt to apply it, it smooths on like a dream, is non greasy and has no horrid smell – and you don’t need to shower afterwards. Compared to the original TanOrganic self tan which contains 10% DHA (the ingredient that tans you), the oil contains slightly less DHA at 8% but is still darker than most gradual tanners. I shook a few drops of oil into my palms and applied it to each leg like a body oil. It smells faintly citrussy (thanks no doubt to the inclusion of sweet orange peel essential oil), and I love the fact you can apply it with your hands as it makes the tanning experience totally stress-free, and control is better than with a mitt or gloves. Once you’re done, use a baby wipe or facial wipe to wipe your palms and prevent any staining. The next morning, I honestly could not find one single patch, streak or missed bit, just a flawless golden colour that looked perfect on me. No dodgy patchy feet or stains on my hands, either. If you want to go a bit darker, you can apply some more 6-8 hours later of the following day. The colour is still going strong three days later; the brand says it should last up to four days after application. Overall, I can’t really find anything bad to say about this product. Well, there is one small thing… when shaking the oil into your hand or onto your skin, make sure you do it over the bath or shower and not over your designer towel or favourite bath mat, as the consistency is quite runny. A definite summer essential if you’re looking for a superior organic self tanner for your face and body.